Some days it’s not so much reaching for the stars, but just trying to keep my head above water. *grin* I was driving home from work the other day (the LONG drive home from work, not the short-but-commuter-congested-traffic drive) and this song came on just as I pulled out of the corporate gates. It’s been playing in the back of my head for days. Sometimes I focus on the first verse, sometimes I focus on the final chorus. Either way, seems to me that it’s where I’m at. Several weeks ago I was shopping with a friend. 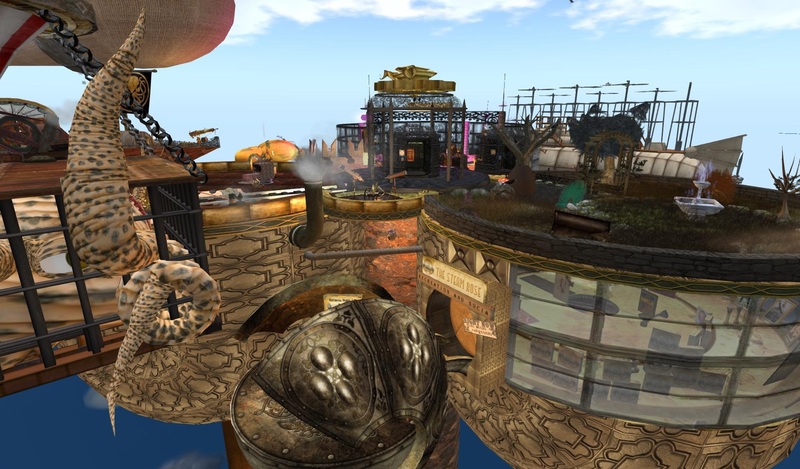 She’d not been inworld in quite a bit and we were cruising steampunk locations to see what was new since her last go-round. We found ourselves at L+N Signature Designs admiring the fantastic vehicles as well as the clothing. 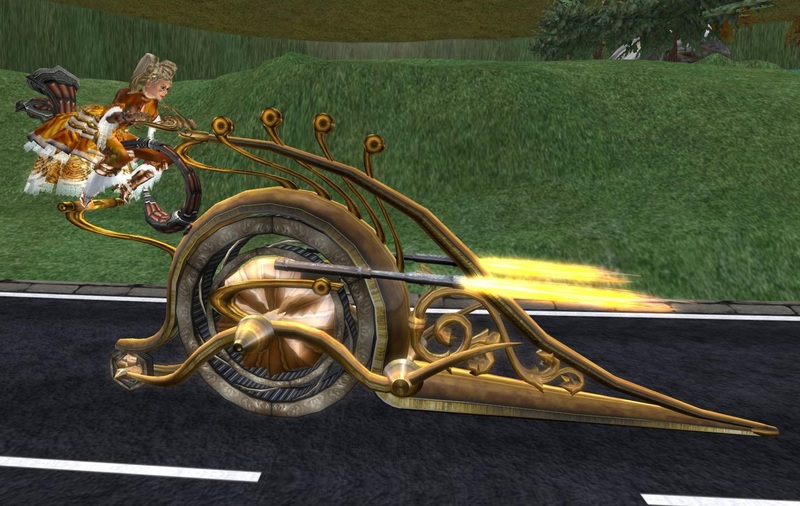 She admired the way-cool Steampunk Giro-cycle but it didn’t appear to be for sale. 😦 I sent an IM to the builder, brgn.halberstam. 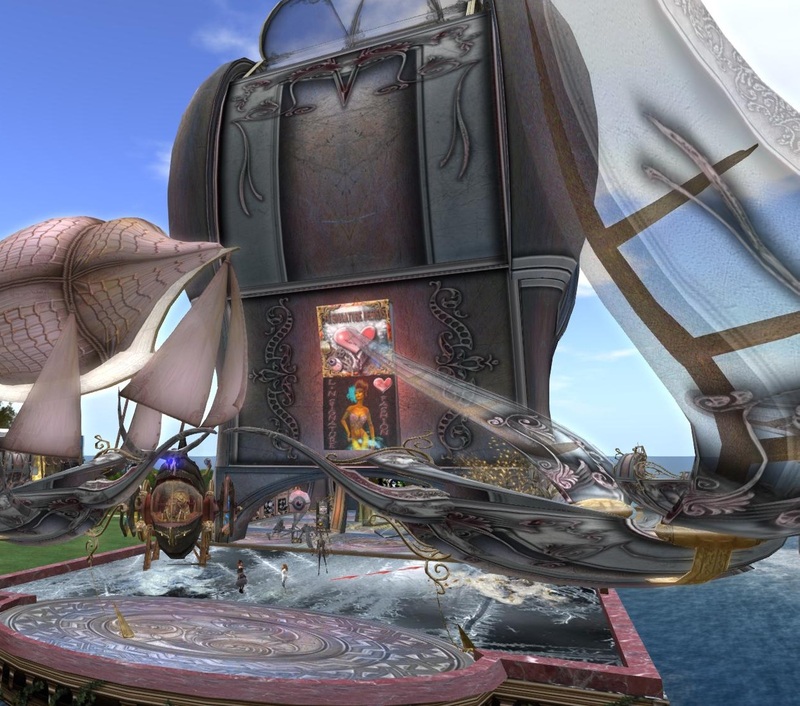 I got a lovely reply, explaining that the Giro-cycle was not for sale because it had been created for the Steam the Hunt 8 hunt taking place March 1-31. I made a note of that, thinking that we could do the hunt in an effort to get the Giro-cycle. I started off on the hunt last night. I’m on vacation this week. My original plans were changed and I found myself with lots of free time. Wow. I don’t remember the last time I had unscheduled days. I thought that I might try to do the hunt. I’m usually abysmal at these hunts. If I didn’t have a friend along with me to help me find the clues and the prizes, I’d never move past the first stop. This time, however, I began to get a feel for why hunts are so popular. As usual the first location was making me feel stupid, with a seeing disorder. But after finally stumbling on the prize, the whole hint concept began to feel clearer. I had my camera range waaaaaay long, something I’d never done in the past. I would cam all the way out, and see the general area. It’s taken me years to learn to use my camera more efficiently (yes, literally years). I started to have success. It was – fun. Imagine that. Fun. 🙂 I came back in this morning and continued the same way. Ultimately I hit a location where no matter what I tried, I could not find the item. I thought “so what”. What I’d never realized before was that the hunts publish a list of SLURLS for people like me – so even if we can’t find the prize with the next location, we can jump to the next location anyway. We don’t have to drop out because of one unfound prize. Since I was by myself, and had no time restrictions, I took the time to do what the hunts intend – look around the stores and perhaps shop. 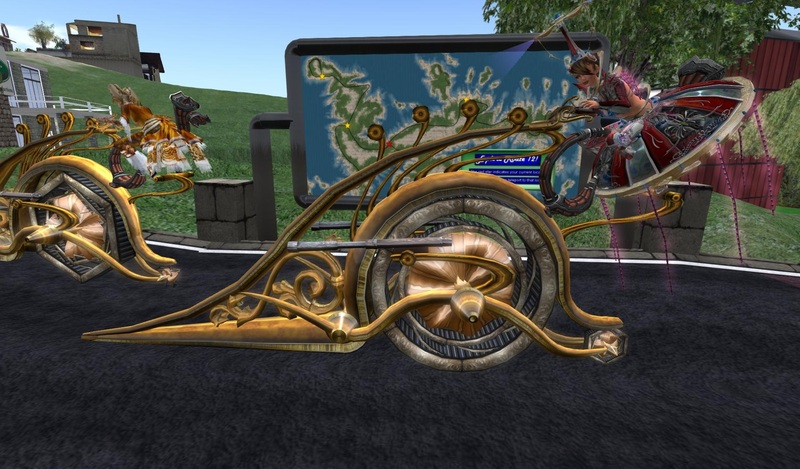 I nearly bought a steampunk throne/chair but decided it was a bit too large for someone hoping to down-size her property prims. I did get a VERY nifty pair of red boots and had a lovely chat with the store owner. Be sure to head over to –BHD-/Duquesa Designs and check out the -BHD- Aliz boots and chat with Renata Constantine (renate.marchionne) of Duquesa Designs. I picked up some new deck chairs as well – I’ve had the old ones for several years now. I loved the rose pattern on Emma’s 1-prim Lush Roses Deck Chair at Emma’s @ Blue Moose. And along the way I picked up a sundress at CERO Style. That was a difficult purchase because I wanted SEVERAL dresses there. 🙂 I finally decided on the ;;;Helene;;;; in cream. By the time I made it over to L+N Signature Design, Oura had joined me. We were there for over an hour, admiring the creations, the elevator the clothes, the ambiance, the hair. We did indeed find the Giro-cycle. *grin* We both bought new steampunk outfits (check them out in the pictures above). We got the gift hair, Duality, as well. Flush with all our new goodies, we headed home to change and take the cycles out for a spin. *laughing* Okay – although it was fun, it was NOT easy. We both crashed at sim crossings and had to reboot. We ended up in my neighbor’s house and got invited to join the land group. 🙂 We got the hang of it, though, and headed down the road. I was feeling quite confident by the time I added the HUD and started firing my machine gun. Well. Who KNEW that I could set fire to the berm? /me looks about guiltily, but with my hand still on the trigger. Once the smoke cleared, we headed off to hunt again!